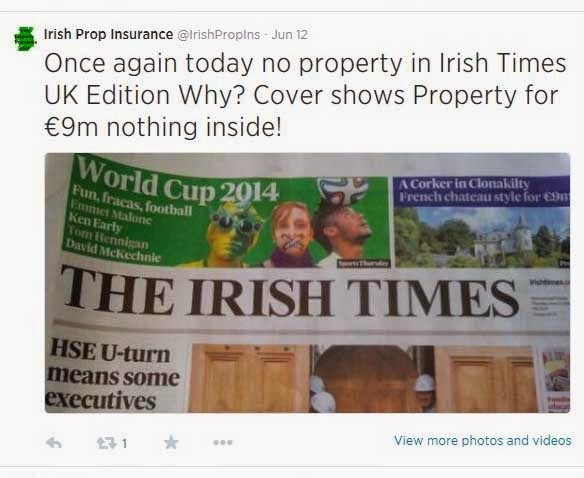 Irish Property Insurance Plus: What has happended to the property section in the international edition of the Irish Times? What has happended to the property section in the international edition of the Irish Times? The international edition of the Irish Times on a Thursday use to have a property section that was the same or a slightly edited version of the property section in the domestic home market edition of the Irish Times. The eighteen page supplement on the left did not come from the International edition, but was posted out from Dublin last Thursday. As a regular reader of the Irish Times on a Thursday for many years now, I have noticed the property section getting thinner. The second supplement has been filled with technology and media which is very interesting and unfortunately the residential property coverage has diminished. 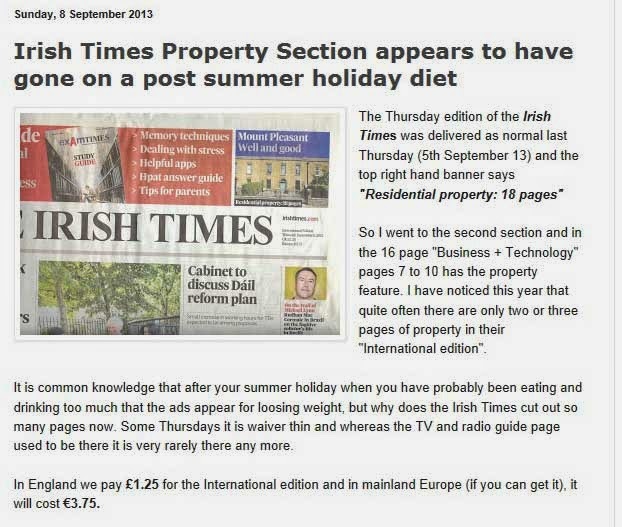 Last September on this blog I wrote "Irish Times Property Section appears to have gone on a post summer holiday diet"
I was saying that "The Thursday edition of the Irish Times was delivered as normal last Thursday (5th September 13) and the top right hand banner says "Residential property: 18 pages"
It is common knowledge that after your summer holiday when you have probably been eating and drinking too much that the ads appear for loosing weight, but why does the Irish Times cut out so many pages now. Some Thursdays it is waiver thin and whereas the TV and radio guide page used to be there it is very rarely there any more." Anyway more recently "the diet" of The Irish Times property section on the English side of the Irish Sea has got worse. 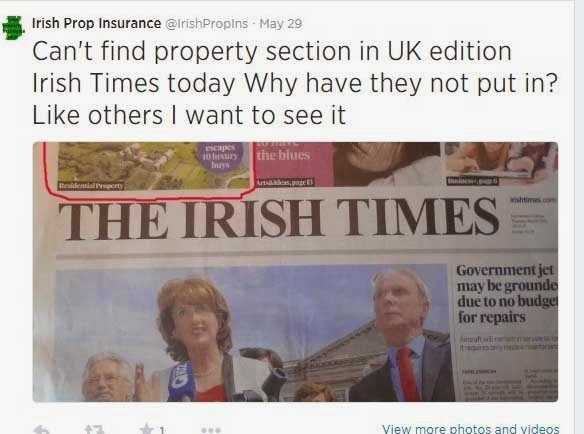 On the 29th May, I went to the Irish property insurance Twitter page and tweeted that I could not find the property section (or couple of pages) that they were advertising on the front page. 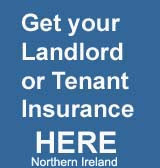 On the 5th June I tweeted "2 Pages Property in Irish Times UK edition today better than none last week can we have several pages like in main Irish market in future?" Then last Thursday the 12th June, there was nothing again. 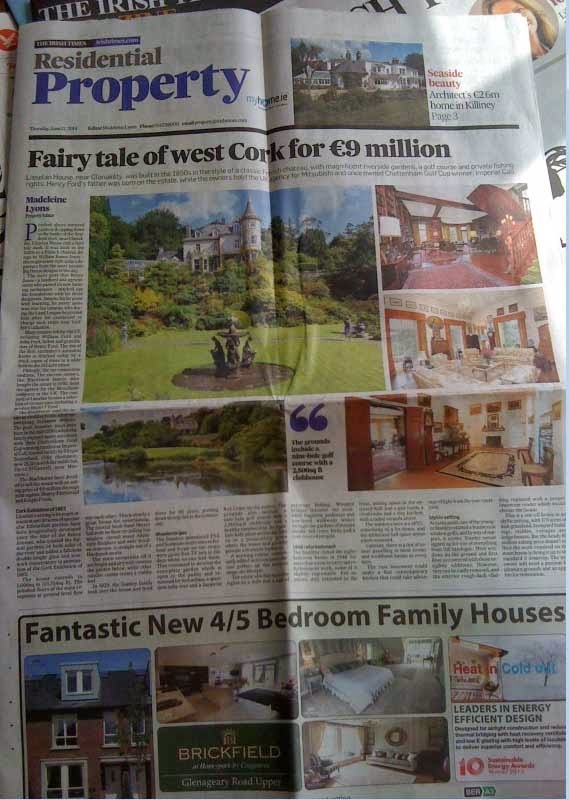 There was a picture on the front page top right hand corner featuring the "A corker in Clonakilty French chateau style for €9m" had there been a section it would have revealed "Fairy tale of west Cork for €9 million"
" Thank you very much for your email and can I in the first instance apologise for the fact that you were left without the Property section in your copy of today’s Irish Times. Unfortunately, due to last minute production constraints, it was omitted from the international edition at a very late point during the yesterday’s print run. It is not something we would like to happen again. If you would like to send me your postal address, I will send a copy of it to you in the next post. 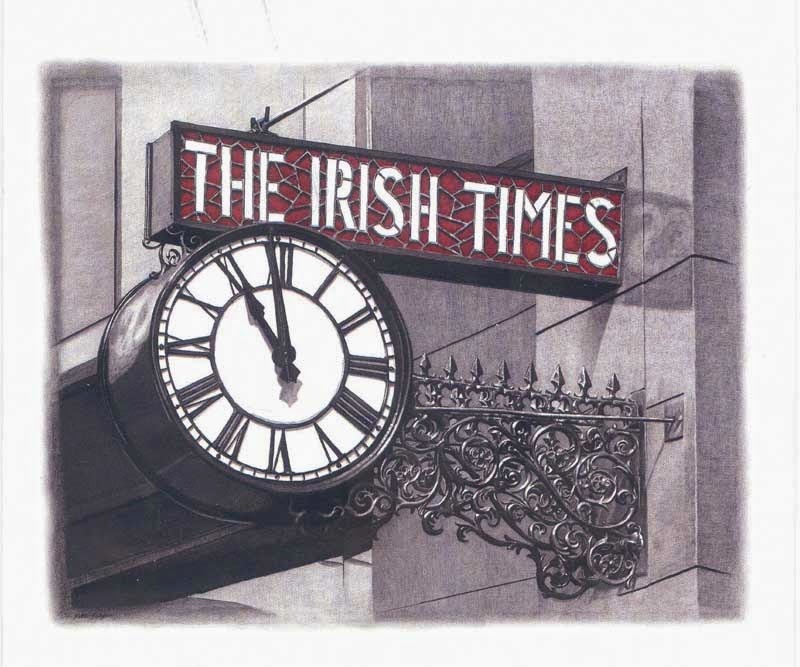 Again, I am very sorry that you were left disappointed today"
On Saturday the 18 page supplement arrived in the post with a very picturesque Irish Times clock card (above) and a note. I decided to email them on Monday saying "Many thanks for forwarding on a copy of last Thursday’s Irish edition of the Irish Times property section. This is just like it used to be on the UK /International edition, until it got thinner and thinner. It is such a shame that it has been reduced to only a maximum of 4 pages, less or nothing at all these days. The property market has recovered a lot in Ireland thankfully now and although the technology / media section is interesting, the property section must surely appeal to those outside Ireland too. Would be very nice if one reader’s comments could be taken on board by the editorial team"
Unfortunately have not had a reply yet, but I do hope they take my comments on board. I am not sure if those estate agents who put ads in the paper are under the impression that they are being looked at in the International edition. Unfortunately they are not.